I think we are overly limited by our descriptive terms. We throw around concepts like hospice and palliative care, but in reality the medicine I practice is much more a hybrid. Many of my patients are elderly, demented, and plagued by metastatic disease. Often when one of them becomes ill, it is unclear if they are merely treading water, or about to drown. The problem with our modern definitions is that they leave little room to pivot. Pivoting, it turns out, is critical to delivering humane, dignified, high quality care. And our patients don't want to be pigeonholed. They want aggressive doctoring when it will be helpful, and hospice when chances are slim. Unfortunately our crystal ball rarely provides the answers we are looking for. 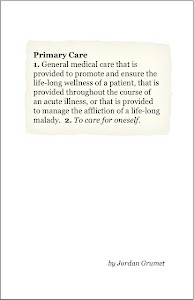 With these ideas in mind, I would like to introduce the concept of the Palliative Care ICU (PCU). Less an actual place than a state of mind, the PCU is a philosophy of doctoring that allows physicians to treat both aggressively and palliatively at the same time. In other words, short term, intense, pain neutral interventions are carried out acutely with an eye on pivoting to hospice vs aggressive care depending on short term response. In order to illustrate, lets consider Tom, an eighty five year old in a nursing home with metastatic lung cancer. Although he is getting weaker, he still is able to ambulate and enjoy time with his wife and daughters. One evening he develops fever and somnolence. Tom has a fairly limited prognosis based on his aggressive malignancy. On the other hand, his family has been enjoying visiting with him, and would hate for him to die prematurely from a treatable infection. 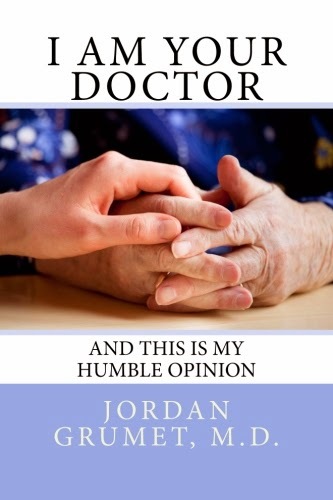 The patient himself has resisted hospice because he wants to continue getting chemotherapy. If this is Tom's time to die, all parties agree to make him comfortable, and let him go. On the other hand, if medical intervention could prolong his life and maintain a semblance of quality, no one would argue with intervening. What is Tom's physician to do? Tom will die soon from his cancer regardless of the outcome of the current infection. The last thing his family wants is for him to spend his last moments in an ICU being poked and prodded by strangers wearing isolation gowns. Thankfully, there really is no reason to move him out of the comfort of his nursing home bed. Given today's current medical climate, high level care can be delivered not only in extended care facilities but also in people's homes. IV's can be placed, antibiotics given, and pain levels monitored. If Tom were at home he could be attended to by an home health company or palliative care program. Maintaining Tom's location is critical to the PCU concept. It allows humane, dignified medicine without the trauma of escalating the place of care. When possible, home patients stay at home, nursing home residents remain in the nursing home, and floor patients remain on the floor and avoid the ICU. Tom's family and doctor decided to sign a do not hospitalize form and manage the current crisis in the comfort of his own room. Because Tom's quality of life was still reasonable, his physician and family felt that drawing blood tests, placing an IV, and beginning intravenous antibiotics was reasonable. Each intervention was discussed amongst all parties and decided that the amount of discomfort was minimal compared to the possible benefit. CPR and artificial ventilation and feeding, however, would clearly be painful and therefore were forbidden. Although Tom continued to decompensate, he appeared comfortable and no worse for the wear given the current levels of treatment. Tom's physician reviewed the lab results with the family the next morning. The kidneys were shutting down, the liver tests were abnormal, and Tom hadn't shown any signs of waking up. He started to moan occasionally during the night and morphine was started. The nurse carefully placed a few milliliters of medicine under his tongue every few hours, and he quickly became peaceful. During a family meeting, Tom's wife and daughters understood clearly that recovery was unlikely and that little benefit would come from hospitalization. Hospice was consulted. Tom died quietly, surrounded by his family and friends, a few days later. Conversely, if Tom had a limited infection like a UTI, he may have responded quickly to antibiotics and recovered uneventfully in the nursing home. Either way, he was given high quality, judicious care that allowed nature to declare itself. We have to learn to drop our preconceived labels and adapt more hybridized models. I introduce the Palliative Care ICU. Wish more people would bite off on this type of innovative thinking. Great idea! I hope it pays off, as it sure sounds like an excellent idea. Keep us informed please.